Only servicing machines after defects or downtimes leads to two things: increased unplanned downtimes and exploding maintenance costs. The EMAG partnership-based maintenance solution helps to avoid that. This concept combines maintenance according to standard requirements and preventive maintenance that helps to improve the maintenance skills of your own employees and benefit from the support of the EMAG ServicePlus experts. Partnership-based maintenance is carried out in cooperation with the customer and the EMAG ServicePlus team. With this service, we combine our customers skills and experience with the expertise of our EMAG specialists. This combination allows us to reduce costs and increase efficiency. 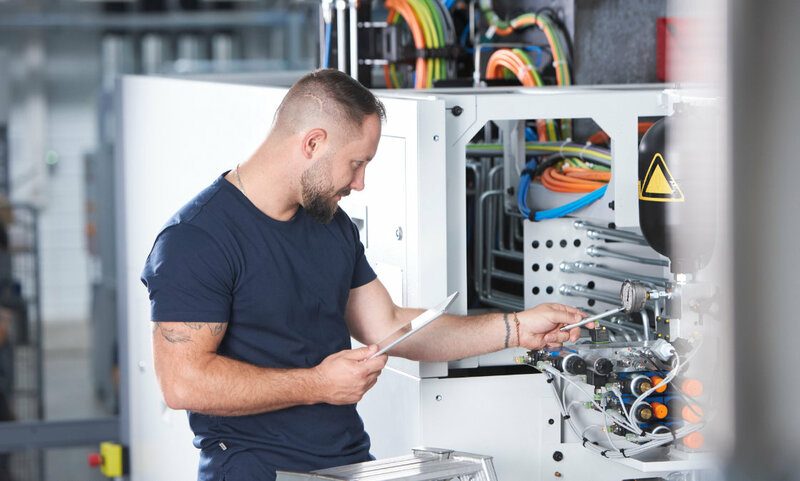 The amount of maintenance required is based on the condition and use of your machine, and the services required from the EMAG ServicePlus team is dictated by the skills of your maintenance team.